Plot- 16-year-old Aurora Darlington is an orphan. Mistreated by her adopted family and bullied at school, she dreams of running away and being free. But when she is kidnapped and dragged through a portal into a magical world, suddenly her old life doesn’t seem so bad. The Last of the Firedrakes is a fantasy novella. This book is the first in the Avalonia Chronicles Trilogy. The book revolves around Aurora who lives with her uncle’s family since her loving adoptive parents died in a tragic car crash. Her evil aunt and cruel cousin leave no opportunity to put her down. Like this isn’t enough, Aurora is bullied at school. Practically she is all alone in this world and has no one to confide in. Aurora eagerly wants to turn eighteen so she can go off living on her own. One day her uncle plans a sudden ‘family trip’ to Red Manor which is quite surprising since Aurora has never been taken on any of the family vacations. With dramatic turn of events at Red Manor, Aurora gets whisked into the magical land of Avalonia. Avalonia is astoundingly beautiful and magical land spread over seven kingdoms with magical creatures like pegasus, faes, mages (these are cool short forms for fairies and magicians), shape-shifters, etc existing there. I am in love with the way the author has depicted an entire new fantasy world. I would love to explore this world. I must mention the map at the beginning of the book. It makes it easier for the readers to navigate through the kingdoms. As the story unfolds, newer lands come to light. By end of the book I was quite through with the geography of Avalonia. As the story progresses, Aurora comes across many dreadful situations which she was totally unprepared for. It is very interesting to see the development in Aurora’s confidence and strength from the time she discovers that she belongs to Avalonia and has a major responsibility to bear. Instead of shying away from it she takes it upon herself and that truly is commendable at the age of sixteen. The characters in the book are very well portrayed and I simply loved the way the novel is written. The book has magic, mystery, fantasy, action, friendship and of course romance (one word ‘RAFE’). The book did remind me of Harry Potter and Chronicles of Narnia a little, but the book has its own uniqueness. It was very difficult for me to put down the book. I am eagerly awaiting the second book in the serise! A complimentary copy of the book was sent to me but the reviews are my own. 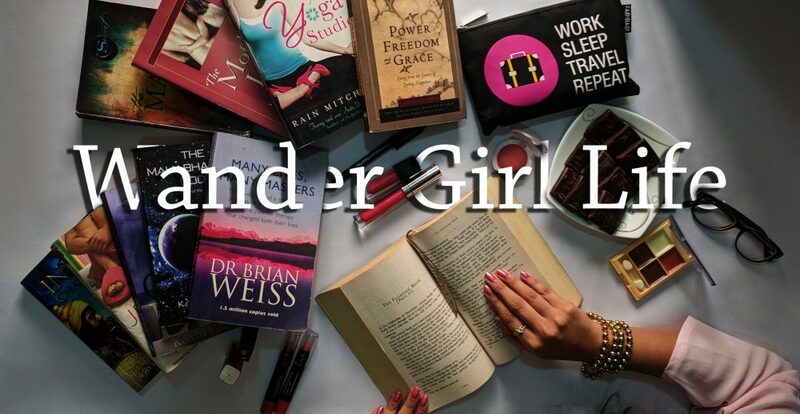 This entry was posted in My Take, Uncategorized and tagged action, bookblogger, bookgasam, booknerd, bookreview, bookworm, chroniclesofavalonia, fantasy, FarahOomerbhoy, indianbookblogger, mystery, romance, thelastofthefiredrakes by Wander Girl Life. Bookmark the permalink. Thanks so much for this lovely review 🙂 I’m so glad that you enjoyed the book.